It’s a cold, dank day in London so I’m transporting myself back to a warm August evening in Prague when we dined on the terrace of CottoCrudo. How I love a bit of al fresco dining. CottoCrudo is in the rather swanky Four Seasons Hotel and the terrace overlooks the Vltava River. The extensive menu offers a range of Italian and Mediterranean-style dishes. 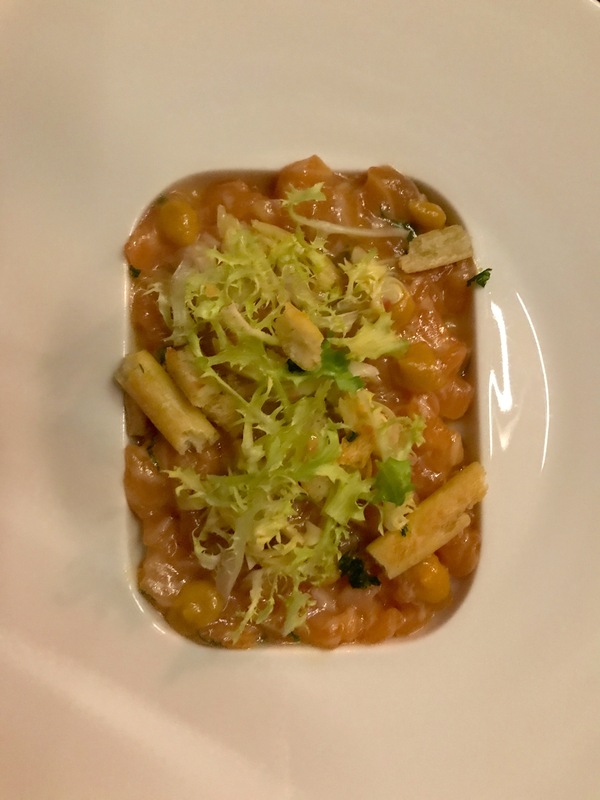 Executive Chef Leonardo Di Clemente comes from an Italian farming family and his philosophy is to mix what he describes as “Mamma-style cuisine” with current culinary trends. CottoCrudo literally means Cooked Raw and this is how the menu divides. 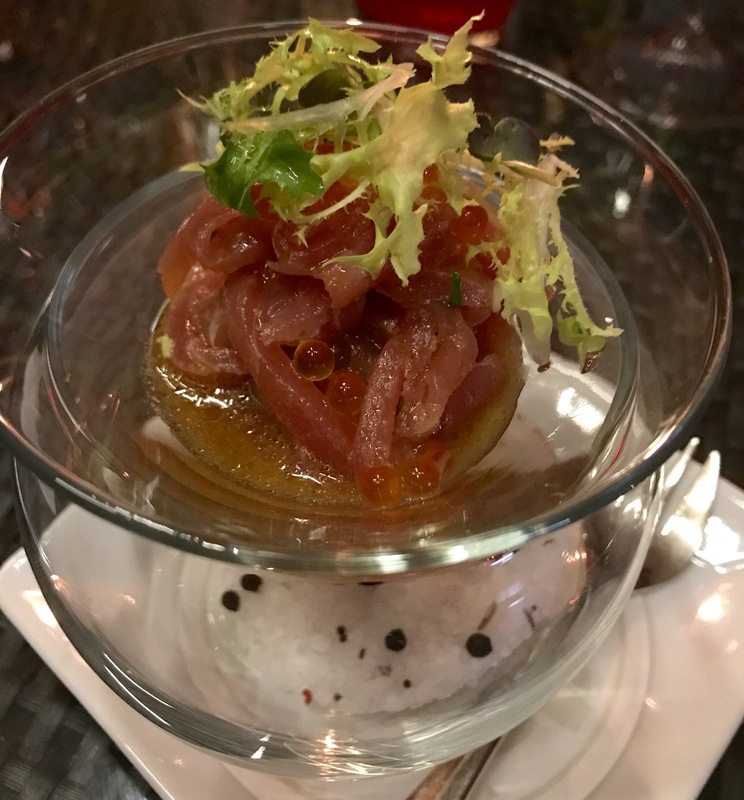 The crudo section encompasses a set of mouthwatering raw fish dishes that it’s impossible to resist. All beautifully presented using the freshest of fresh produce. The most perfect start to a summer night’s dining. 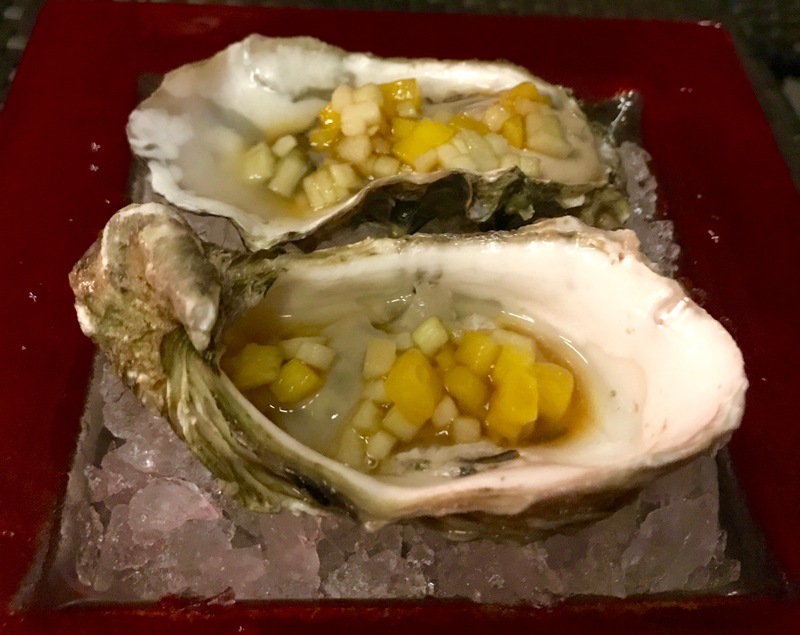 Oysters were served with mango, cucumber and yuzu soya sauce. Fresh, zesty and gloriously tasting of the sea. My tuna spaghetti was marinated with orange emulsion. Thin, spaghetti-shaped pieces of fish that melted in my mouth, made all the more tender by the fabulous citrussy marinade. Raw salmon was served with miso vinaigrette, frisbee salad and sprinkled with sesame seeds. The richest of seared tuna carpaccio was served with Genova-style salad and smoked quail’s egg. For my second course I chose from the antipasti section. 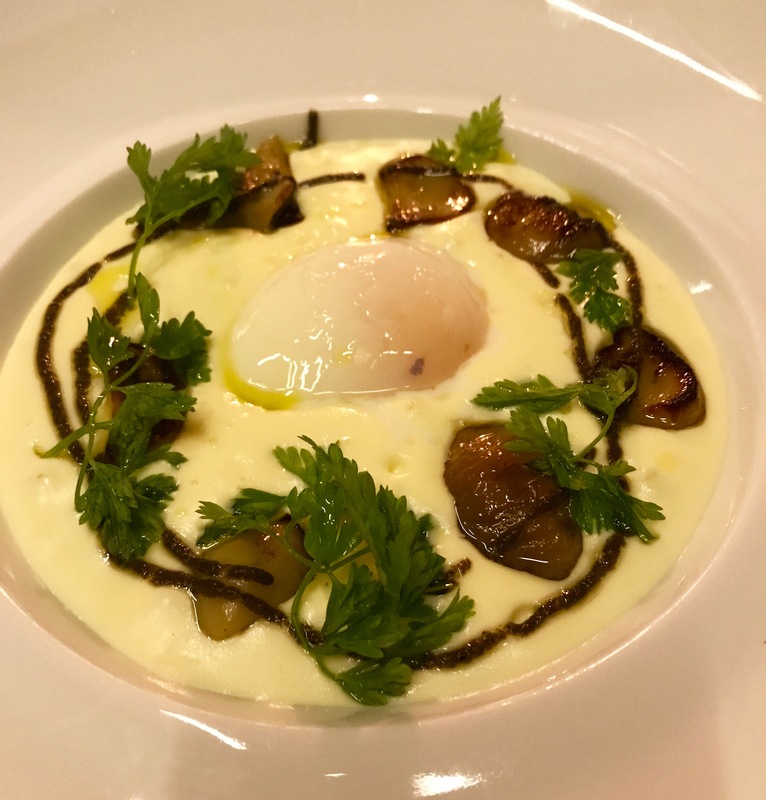 Described as Onsen poached egg with soft potato cream, porcini mushrooms and black truffle, it was hard to picture but I loved the sound of all the ingredients. And boy was I right. What a wonderful dish of softness and flavours. In case you’re wondering an Onsen is a hot geothermal spring in Japan which is the perfect temperature for making slow-cooked, soft eggs left in the water for several hours. The principle has been transported to the kitchen where eggs are cooked at a low, controlled temperature for 45 to 90 minutes. Love a bit of science in my dinner! 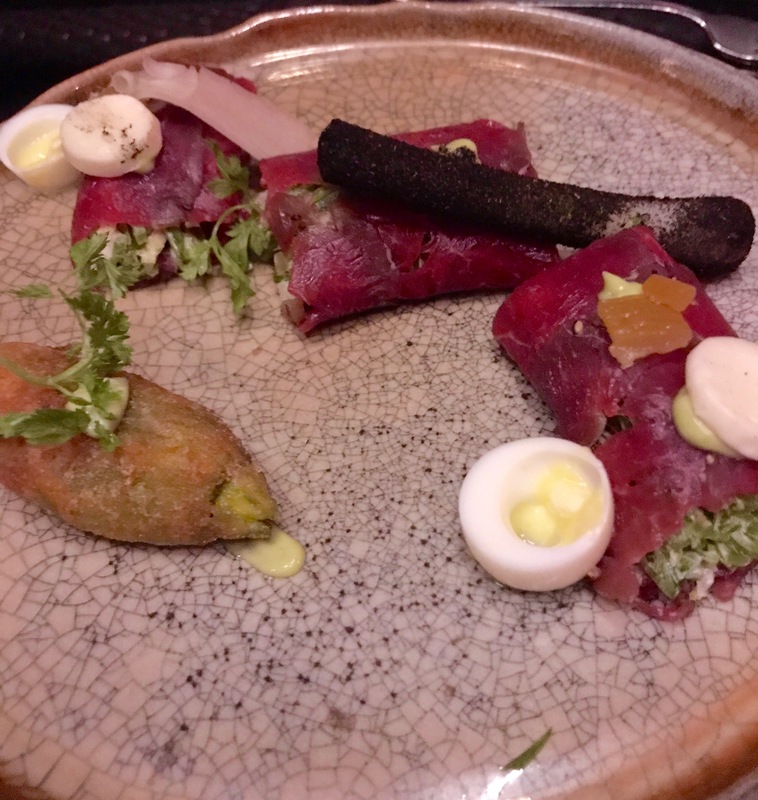 Both this and the tuna spaghetti I had are CottoCrudo Signature dishes which I wasn’t even aware of when I ordered – well, they certainly were spectacular. 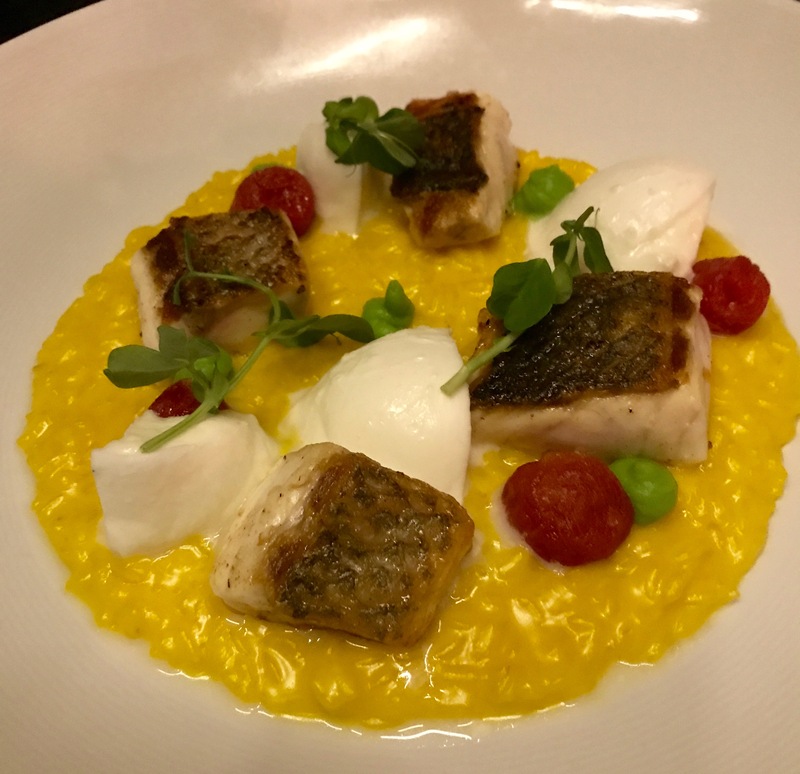 Saffron risotto was served with roasted seabags, buffalo mozzarella and green pea puree. The sweetness of the fish was perfect with the creaminess of the cheese and risotto. A classic Italian dish given a little bit extra. There seem to be a lot of truffles around in the Prague summer – good news for us all. 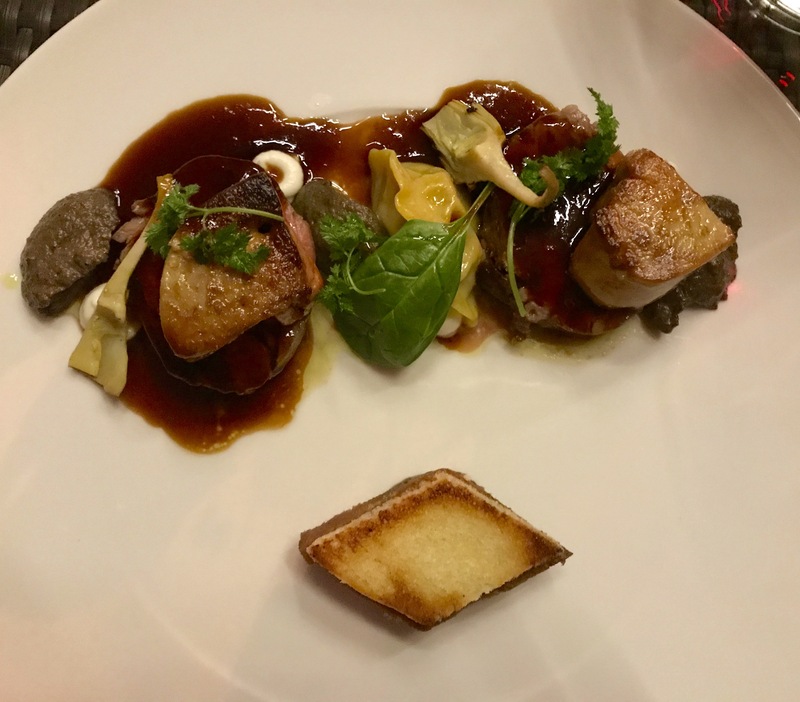 This beautifully meaty dish of milk-fed veal tenderloin was served with foie gras, black truffle and mushroom puree. And here’s the wonderful red-rooftop view across the river. CottoCrudo is certainly a glamorous place to dine. 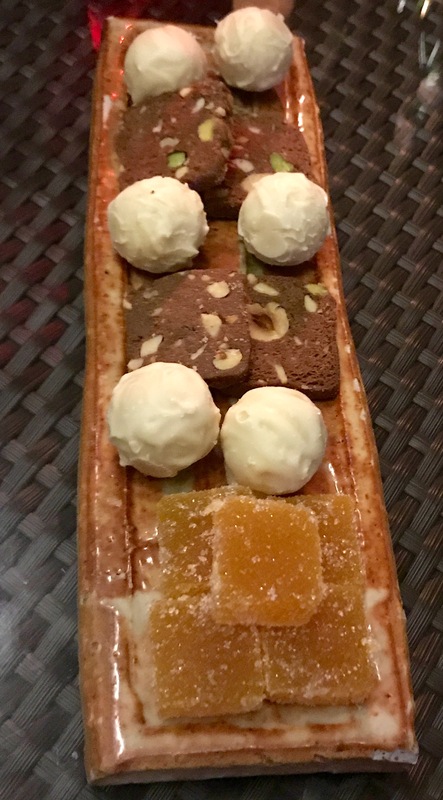 The food is excellent, the service impeccable and the attention to detail impressive. And the intimate little terrace does have great views. Being in the Four Seasons you’d expect prices to be on the steep side at CottoCrudo, but the food was actually pretty good value. Starters began at 220CZK (Czech Koruna) – about £7.50 and mains from 620CZK – around £21. The extensive wine list was however rather on the expensive side with local wine going for around £40 a bottle and everything else for significantly more. We went Czech and weren’t disappointed. 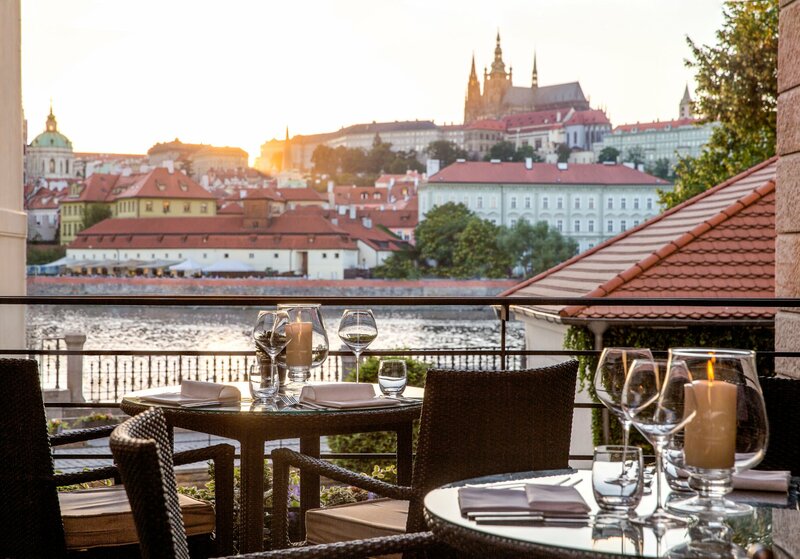 CottoCrudo is in the Four Seasons Hotel at Veleslavinova 2a/1098, Praha I, Czech Republic. Read more about what to do in the beautiful city of Prague by clicking here.